Tsunami Piñata at Perihelion Brewery, July 2017. An illustration of "The Contrapparatus One-Man-Band"
Acoustic party music from around the world, arranged for banjo and accordion. Tsunami Piñata plays an eclectic mix of music from many traditions, including: Klezmer, Celtic, Northern Mexican folk music, Polkas, Italian Tarantellas, Waltzes, European Cafe Music, Russian folk songs, Tangos, plus original compositions. We can play a mix of styles, or tailor to a specific party theme. Themes include Oktoberfest celebrations, Italian events, French events, Mexican events, and more. Let us know what you're planning and we can tell you what we can offer that will fit with your theme. 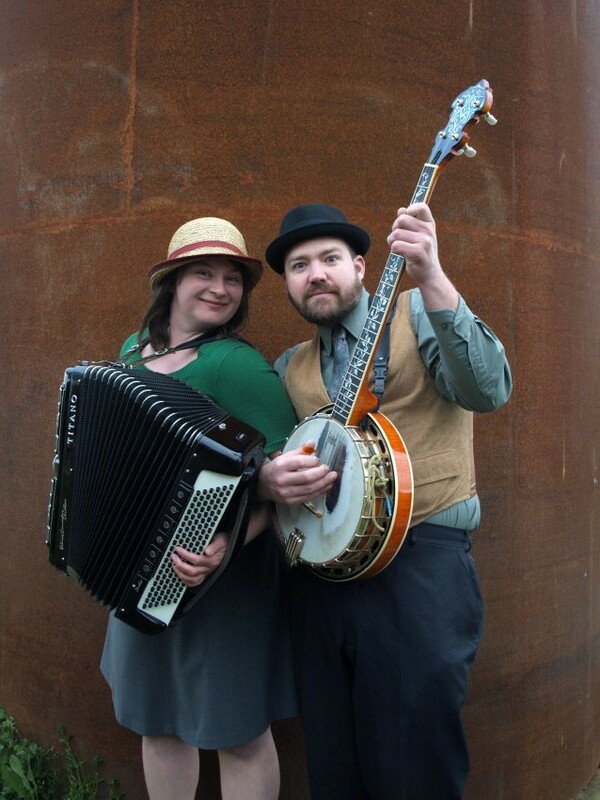 We are also available to play as a solo musicians, on accordion, banjo, or as "The Contrapparatus One-Man-Band". We invited Tsunami Pinata to our office Oktoberfest theme event and they WOW'd everyone! They played traditional music and sang as well. Very professional and great to work with! My family and I hired Tsunami Pinata to play polka at our family gathering. We had such a great time dancing to their music. They were so professional and lovely. They had already played a gig and driven a few hours to get to our party, but you never would have known by their spirited engagement. 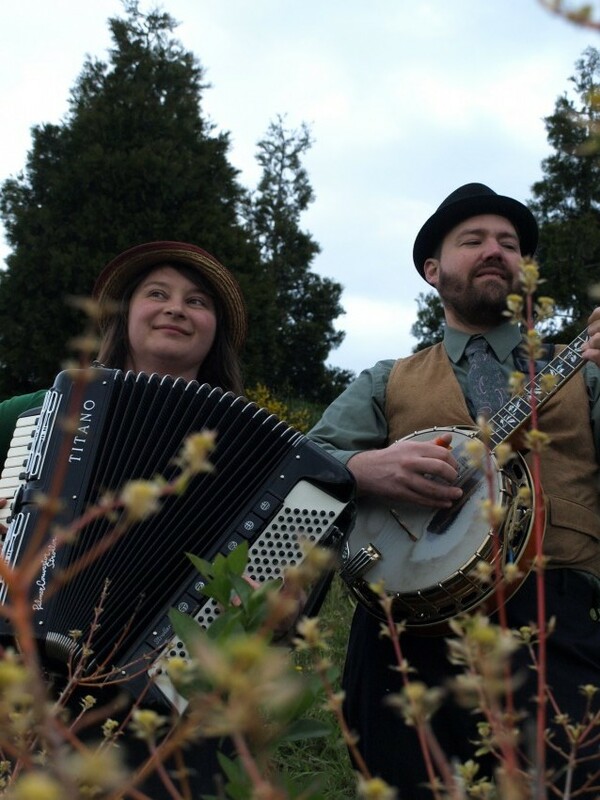 If you are looking for entertaining, charming, and talented musicians look no further. We them playing at our preschool multicultural night. They were great! Loved the variety of music. A big hit with our kids and their families. Thank you! My 50th birthday party was a hit because of this awesome group. They are great musicians and so gracious. My guests raved about their music and loved interacting with them. I contacted Luz from Tsunami Piñata several weeks ago about playing a Russian song to my husband on his birthday. Luz was amazing with her communication. Not only did she know the song I wanted, she committed to learning it in Russian for him! It was a surprise and they did not mind meeting at specific times, being flexible, being snuck around our venue and hidden. They played to a crowd of 90 people and everyone loved the music they played. Most of all my husband. When they came out and started playing and it hit him what song it was he looked at me and got choked up. The best gift ever! Thank you, Luz for being so cool and doing this for us!! They showed up early, played a great set and really got out residents excited. I would definitely book them again! Can't say enough about this great duo! 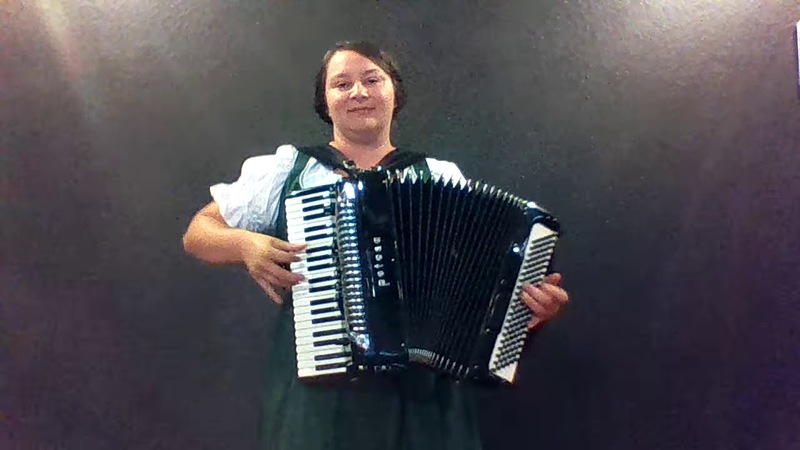 We had an Octoberfest party for our company and hired this pair to play polka music. They showed up on time, played great fun music and even dressed the part. It made the party! I would recommend them to anyone who likes great music and a fun time. We will be hiring them again. We had a "December-fest" themed corporate holiday party and they were delightful and set the mood perfectly for our event. We had the accordion and banjo players. Would highly recommend them! A Sweet, Fun and Entertaining Duo! This dou are very talented, have great musical chemistry, and know how to fit into any type of show or event you can think of. I have hired them for trade shows , stage shows as well as being entertainment for big celebrations. 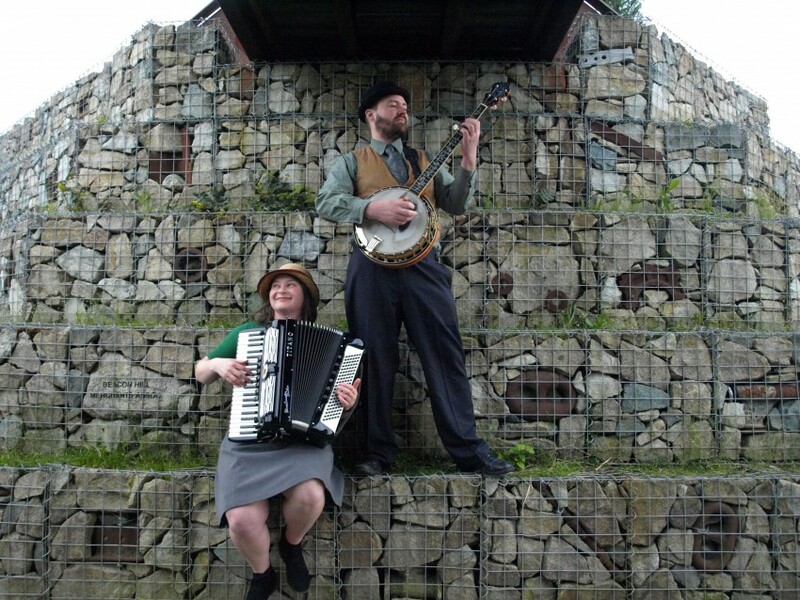 They also are the resident buskers for the Vashon Island Strawberry Festival and add a lot to the festive feel of the event. They are dynamic performers that can engage any kind of audience from young to old, hipster to hippie and everyone will be happier for it. It doesn't matter what they play it is infectious. We hired them to play at a large volunteer appreciation dinner party and they were great. They adjusted to the event and enhances the party. When the crowd wanted to walk through the gardens and apple orchard at the event they followed along and provided a sound track to the tour. They made a great event magical. They made my guests feel special. People who attended still talk about it! Hire them, they are worth it. Talk to them about what you want and they will come through! I've enjoyed Tsunami Piñata in their various iterations multiple times in recent years, including at a house concert at my place. Music that stirs the heart, pleases the ear, and tickles the funny bone, plus visuals that elicit awe-- They really know how to entertain!